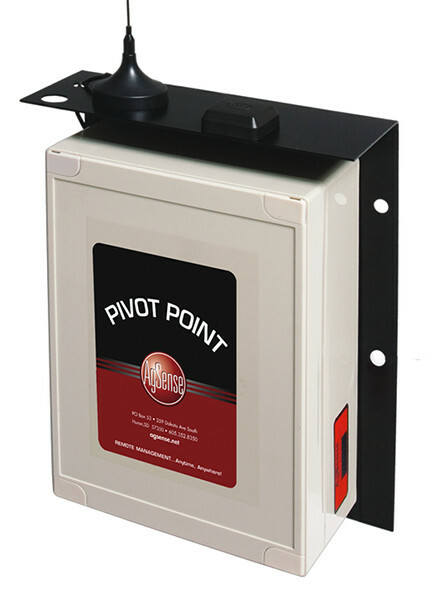 Pivot Control Has Never Been Easier! The purpose of the Mait Pivot Tracker is to capitalize on improved water delivery systems. It is also used to improve water-use efficiency and reduce labor. It requires NO annual subscription fees and NO cellular coverage! For more information, visit Mait Industries. 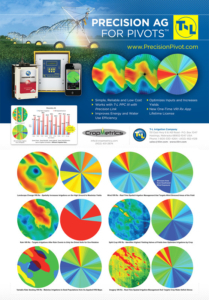 Agronomic VRI control is facilitated with CropMetrics Precision Irrigation Management Services. Data-driven VRI prescriptions with Cropmetrics, Precision Link, and PPC III, combined with T-L’s hydrostatic design and continuous system movement help improve crop production, and provide highly effective application solutions with precision agronomic irrigation management. 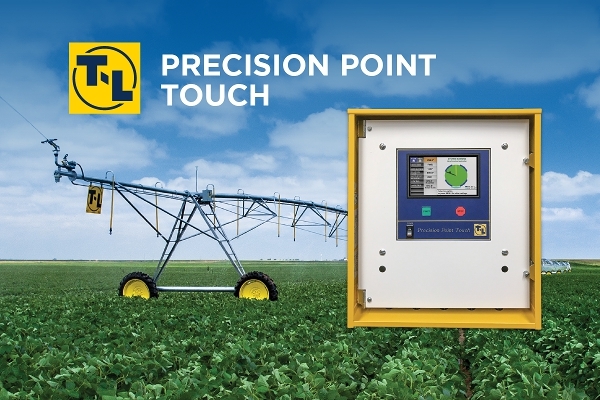 New from T-L Irrigation Co. and Agsense, llc, the Precision link enables web-based pivot control for T-L pivot systems. 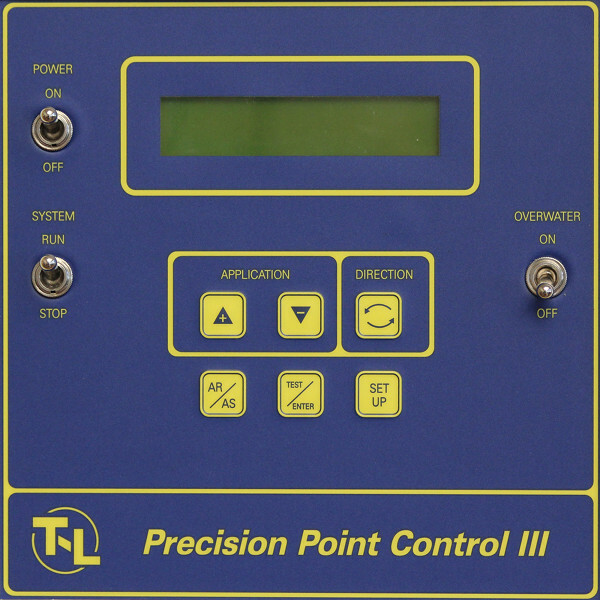 The Precision Link works in combination with T-L’s Precision Point Control lll (PPClll) to let you manage your pivot with your computer or mobile device and a simple internet connection. 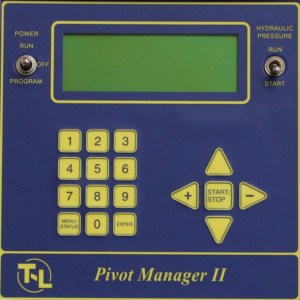 Pivot start/stop, direction, application rate and speed, and water pump control are but a few of the features available. VRI (Variable Rate Irrigation) can also be programmed through the website. Precision Link and the PPCIll, combined with T-L’s hydrostatic design and continuous movement, give you even water distribution, improved crop production, and efficient system management. 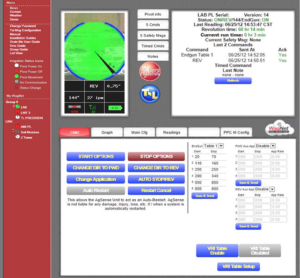 The new PPCIII version provides the operator with enhanced real-time operational control and information. PPCIII allows up to 5 variable application areas within the pivots circle in both forward and reverse operation. 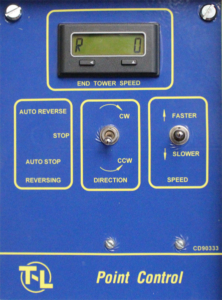 An end gun’s operation and the Auto Reverse/Auto Stop positions can be designated. Either GPS or Encoder position sensors can be utilized, allowing adjustment by degree within the circle. 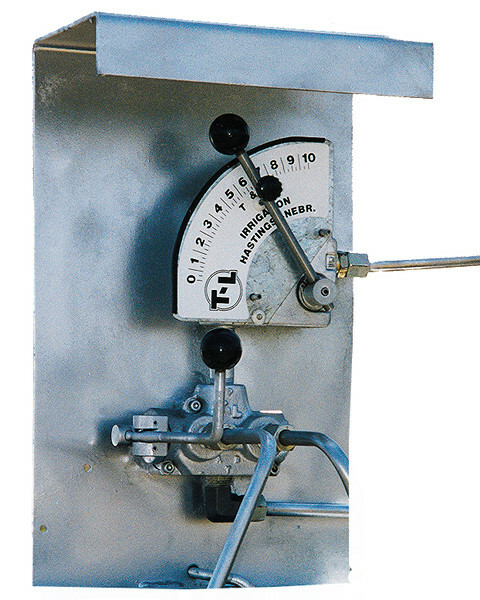 The pivot’s speed can be determined by entering the operator’s desired water application rate. PPCIII’s user friendly control panel shows; set speed versus actual speed, speed sensor operation, the system’s current run time, and relevant GPS data such as latitude and longitude and WAAS fix. When combined with PPCIII, T-L’s hydrostatic design and continuous system movement gives users the assurance of uniform water application , improved crop production, and effective system management. The next generation of computerized center pivot management from T-L. Reports operational performance, controls multiple system outputs, provides readings for water and hydraulic pressures, monitors speed, sets a watering schedule and more. 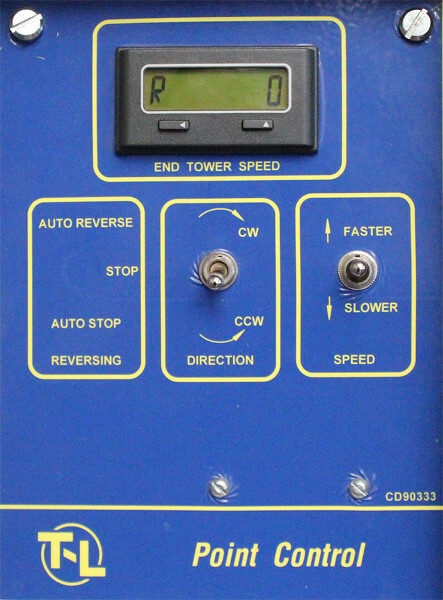 You can control center pivot rotational speed and direction with two simple hydraulic valves. 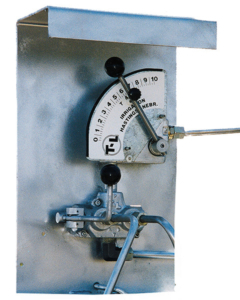 With years of field-proven operation, the Manual Speed and Direction Control option is the industry’s simplest, most reliable management tool. 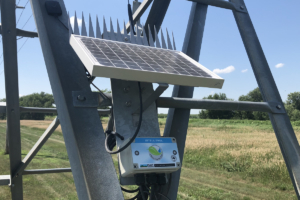 The AgSense remote management unit mounts on the pivot end tower where a GPS receiver reports the system’s position, speed, and direction of travel. 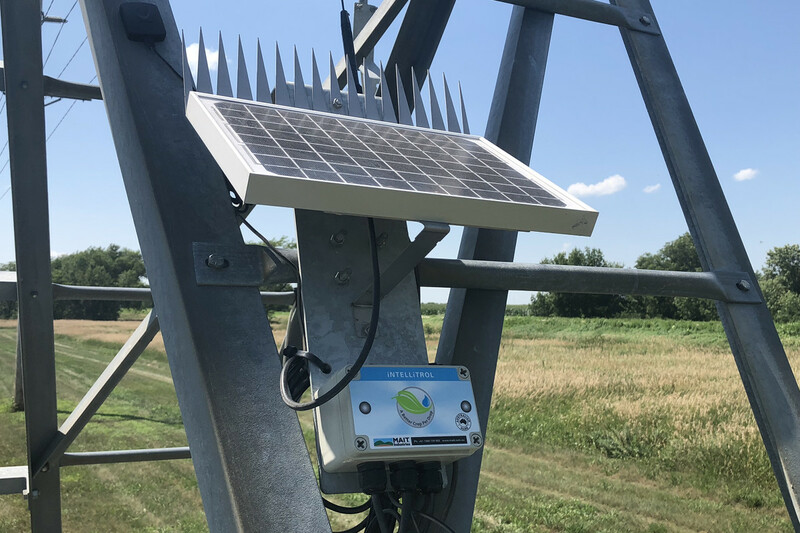 The AgSense uses digital cell phone technology to communicate through the Internet and can be configured to send alerts to a cell phone or e-mail address.